Gone are the talking mice, bumbling step-sisters, and sing-songy Cinderella from Disney. Hello Cinder! Not only is she a cyborg, but she's a cyborg with a very interesting past. I do believe this is my first book featuring a genetically altered semi-robot female protagonist. In fact, I think my only previous experience with cyborgs have been on the silver screen, Cyborgs (1989) starring Jean-Claude Van Damme, and the 80s classic Terminator. I should probably point out here that I have a deep affection for cheesy 80s movies. But coming back to Cinder, the girl is pretty much made of awesome. She's part robot, which she thinks is a shame because cyborgs are kind of shunned by the rest of the population, but come on, she can hide things in her bionic leg and stop mindless androids with a single punch. 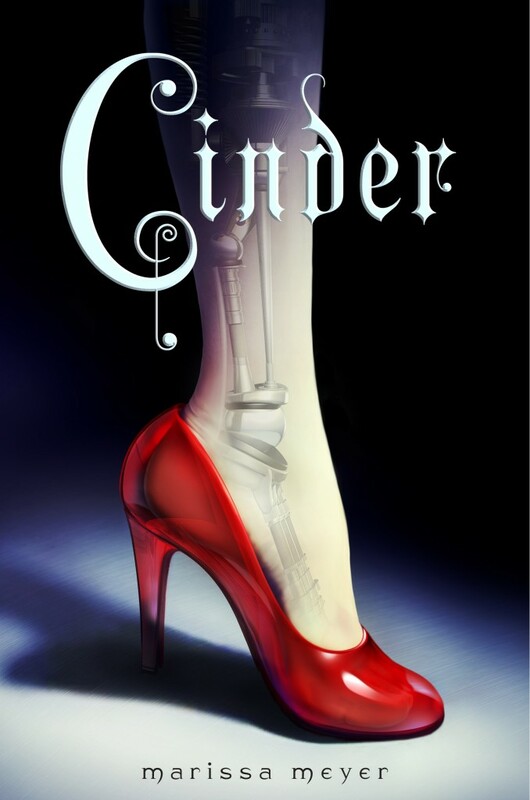 There are definitely moments that harken back to the fairy tale we are all familiar with, but Meyer's take on the classic is refreshing, fast-paced, and definitely not pink-princess girly. New Beijing is filled with a mixture of new and fantastical and is a welcome addition to not only the scifi/fantasy genre, but to the fairytale retellings flooding the publishing world and movie theaters.